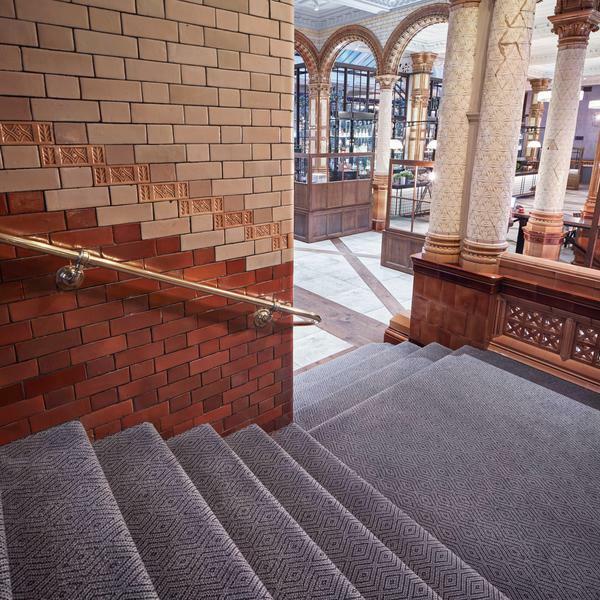 Principal Hotel Company Ltd and Starwood Capital Group commissioned Brintons to design the carpets for luxury 4 star hotel, The Principal Manchester. 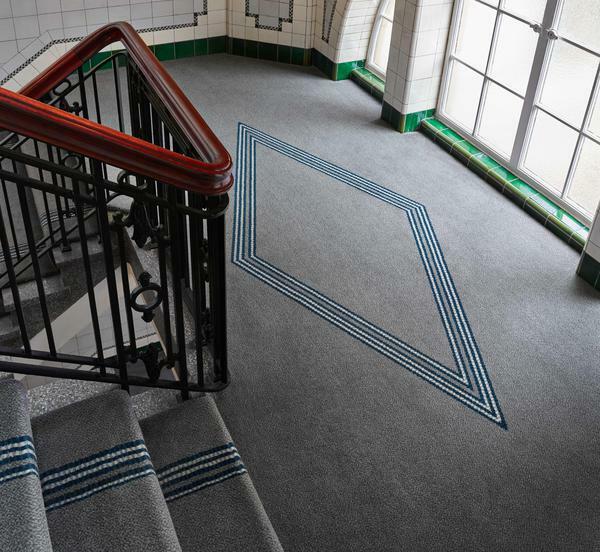 Brintons created bespoke carpets to suit the hotel’s colour palettes and listed period details. The terracotta Grade II listed Victorian building was the former headquarters for the Refuge Assurance Building in Manchester, designed by Alfred Waterhouse and built in 1895. With an extension added onto the main building in 1912 designed by his son Paul Waterhouse, which included the introduction of the building’s characteristic clock tower, it became the home to The Palace Hotel in 1996. Following extensive renovations some years later, the Principal Manchester opened in 2016. 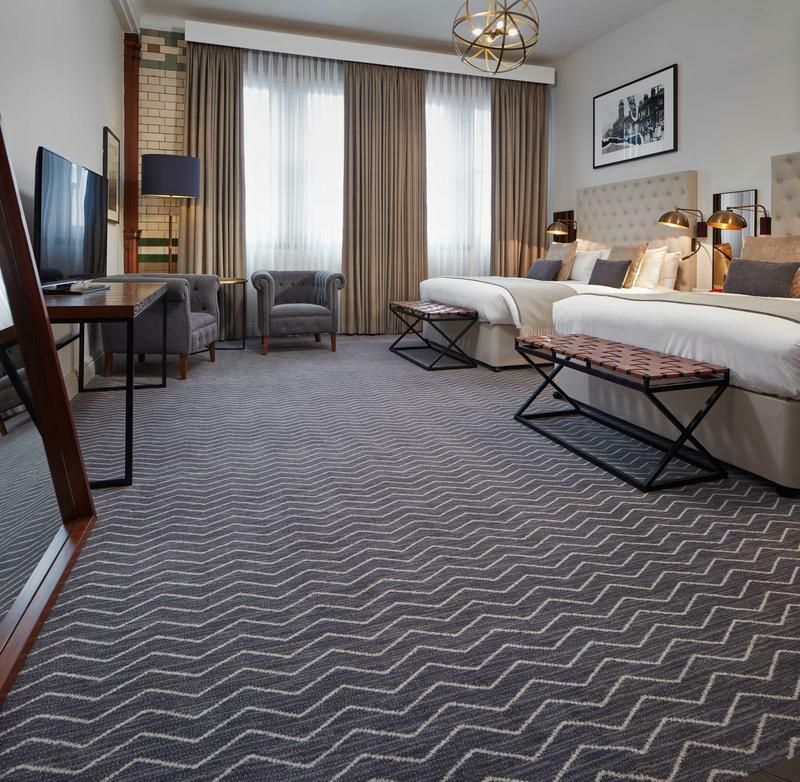 The £25 million pound renovation now hosts 270 guest rooms with details that reflect the property’s period, including wood paneling and tiled brickwork. The numerous designs Brintons created for the rooms all reflect the building’s original purpose. 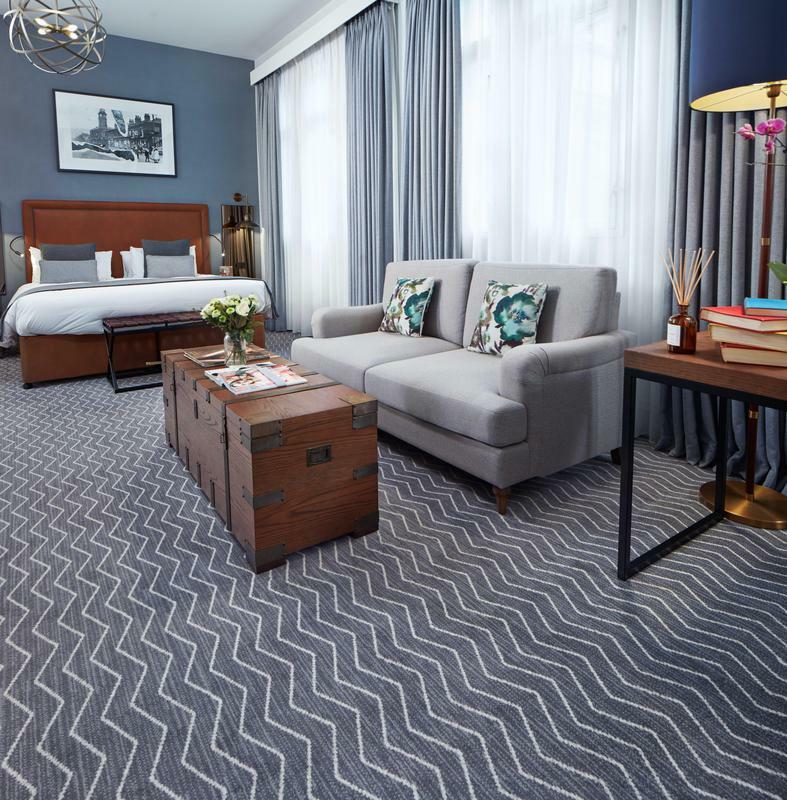 Brintons created a bespoke grey and white herringbone-patterned carpet to complement the guestrooms’ colour palette of bronze, cream and grey, and bespoke geometric-patterned carpets with a tonal colour palette for corridors and staircases. 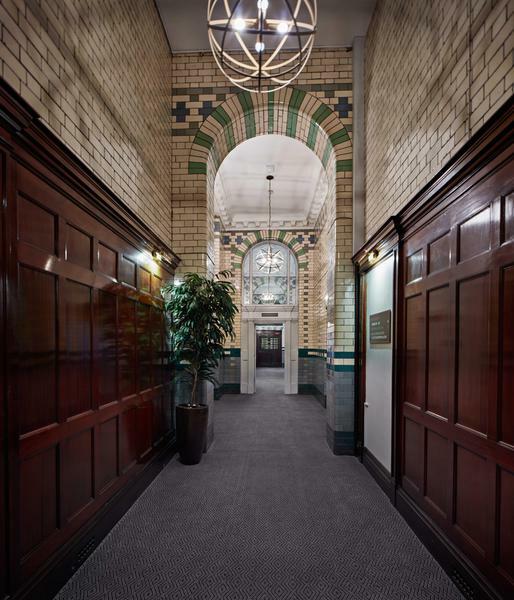 Brintons have also supplied bespoke carpets for Principal hotels in York, Glasgow, Edinburgh and recently London.